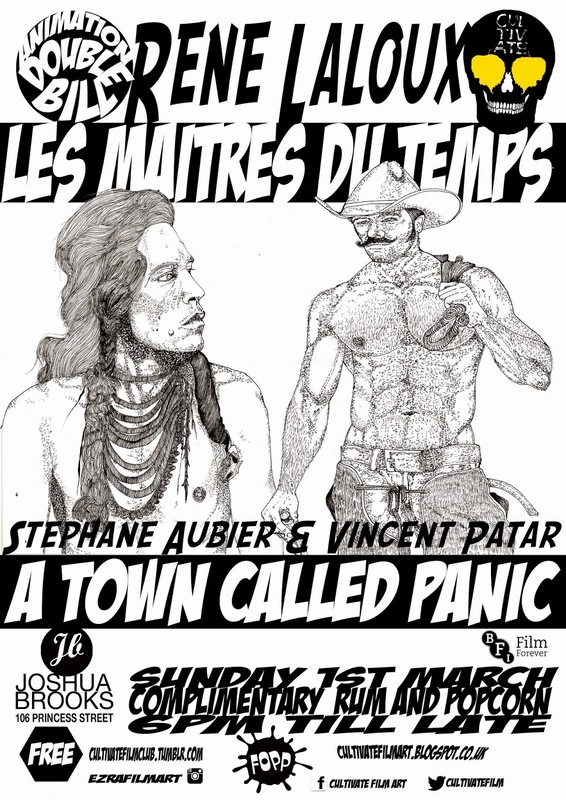 This weeks it''s a French animation special, first up is the timeless French classic LES MAITRES DU TEMPS. Rene Laloux's marriage of design and imagination and the creation of a surrealist journey based loosely on Michael Powell's 1940 film THE THIEF OF BAGDAD this masterfully animated metaphysical rescue mission will leave you swimming through a waking dream it takes surrealist film to another level. 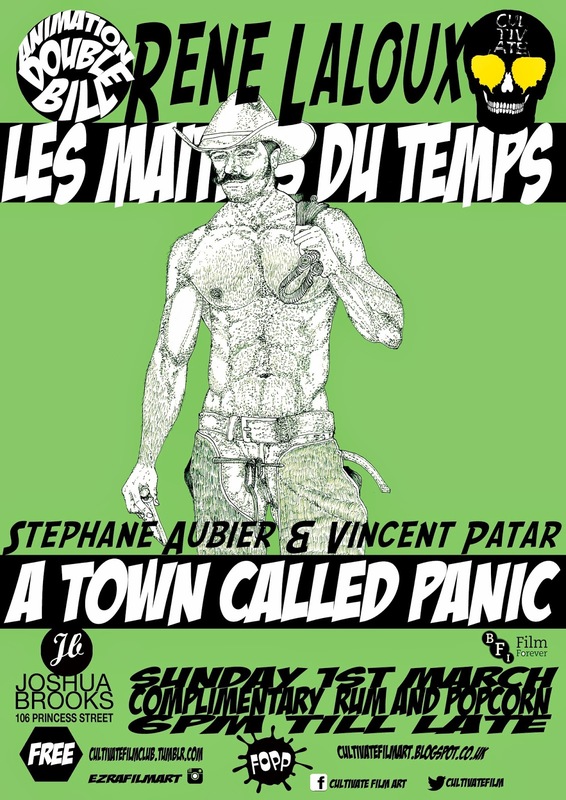 Next up A TOWN CALLED PANIC from animators Aubier and Vincent based on their shorts of the same name, ATCP is a hilarious and surreal romp through a village called panic to a parallel underwater world a must see double bill to start your week on a high, with the usual free popcorn and rum.